Where Are The Best Paying Multi-Denom Slots? Where Are The Best Paying Multi-Denominational Slots? At 96.1% average payback, the LAS VEGAS LOCAL’S CASINOS have the BEST paying slots. 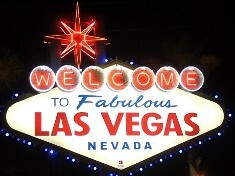 Las Vegas Strip has an average of 94.3% payback. LAUGHLIN has an average of 93.9% payback. Las Vegas Downtown has an average of 94.9% payback. Las Vegas Boulder Strip has an average of 95.8% payback. RENO has an average of 95.7% payback. At 95% average payback, BORGATA has the BEST paying multi-denominational slots. At 96.1% average payback, CENTRAL CITY has the BEST paying multi-denominational slots. At 95.5% average payback, FOXWOODS has the BEST paying multi-denominational slots. So, there you have it – the best of the slot universe, or as we slot players like to call it, the Slots-a-verse.